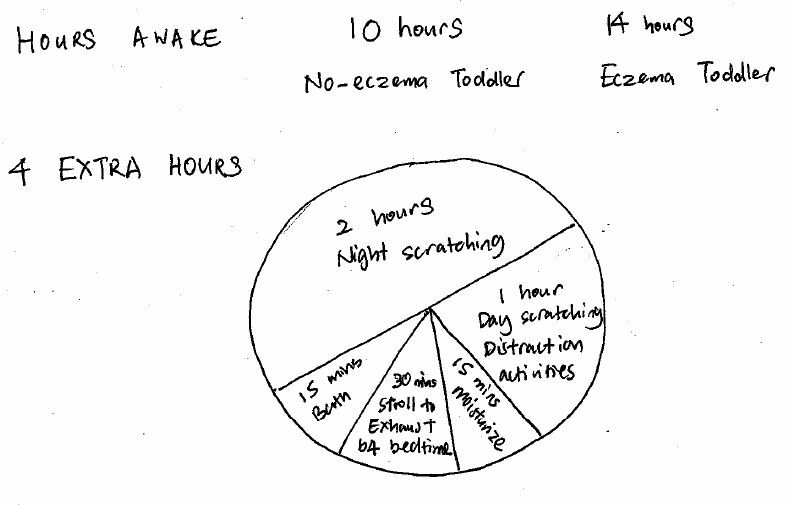 55 of the 101 things that Moms with Eczema Child do Differently – Where did the EXTRA hours go? Posted byMei 20 August, 2012 21 August, 2012 Leave a comment on 55 of the 101 things that Moms with Eczema Child do Differently – Where did the EXTRA hours go? Eczema child sleeps less, but where did the extra hours go? Sadly, it’s mostly spent (productively or not!) on the skin. This is the 55th of my “101 Things that Moms with Eczema Child Do Differently“, a tongue-in-cheek look at the many unique situations that we face. For more cartoons, click here to view.